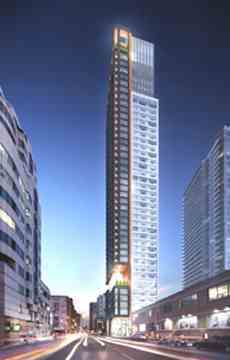 357 King West is a new 42 storeys development by renowned builder Great Gulf, located at the corner of King Street West and Blue Jays Way. 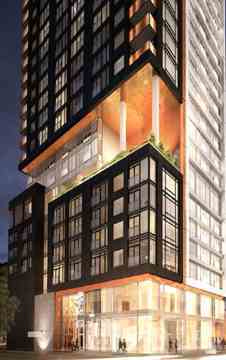 357 King West will contain 324 condo suites. Developer of 357 King St W condo is Great Gulf, a builder with highly successful track record of Residential, Commercial & mixed use developments. Great Gulf is instrumental in building communities not just in GTA but in the whole North America. Recent popular condo projects include 8 Cumber Land, Home Condos (Power+Adelaide), Number One Bloor Condos and Charlie Condos. The Toronto Entertainment District is an area in Downtown Toronto, Ontario, Canada. It is concentrated around King Street West between University Avenue and Spadina Avenue. It is home to theatres and performing arts centres, Toronto's four major-league sports teams and an array of cultural and family attractions.